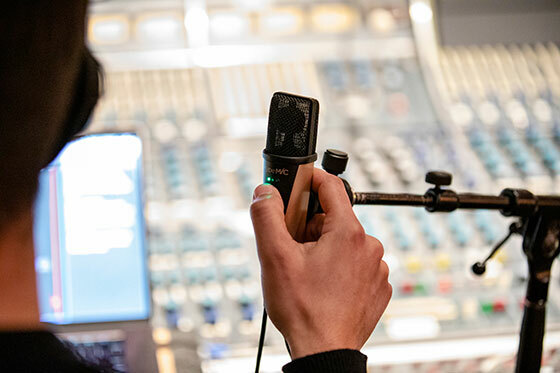 Apogee Electronics and UK distributor Sound Technology Ltd are pleased to announce immediate availability of HypeMiC, a premium USB microphone featuring studio-quality analogue compression. HypeMiC offers three settings of compression to use on vocals, voice-overs, instruments, percussion, and podcasts - anything you record! With HypeMiC and your iPhone or computer, you can make amazing recordings on the go. Ideal for livestreaming, podcasts and broadcasts, HypeMiC balances audio dynamics for greater clarity resulting in better ‘broadcast ready’ recordings. HypeMiC is compatible with any Mac/PC and iOS app that allows you to select an audio device so you’re never without a pro studio when you are on the go. Like its cousins, the Jam+ and MiC+, HypeMiC also features an ⅛” stereo headphone output and Blend function for zero latency monitoring. The Blend button allows you to easily adjust how much direct signal input (sound going into the microphone) you hear mixed with software playback (sound coming out of your computer), enabling you to dial in the perfect mix. HypeMiC combines a microphone, analogue compressor, microphone preamp and A/D and D/A converters into one compact device. 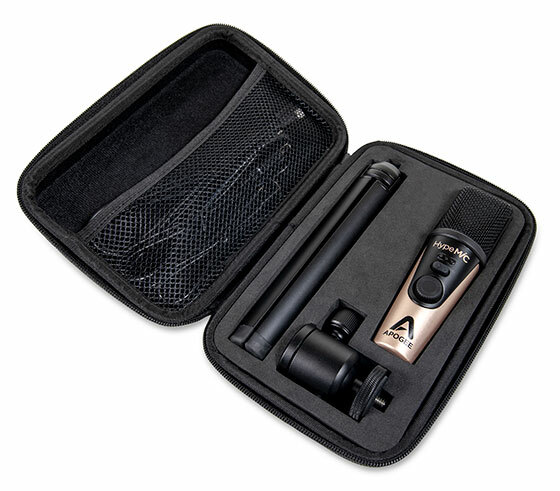 Apogee has carefully designed each part of HypeMiC to deliver the highest quality signal possible with the lowest noise. 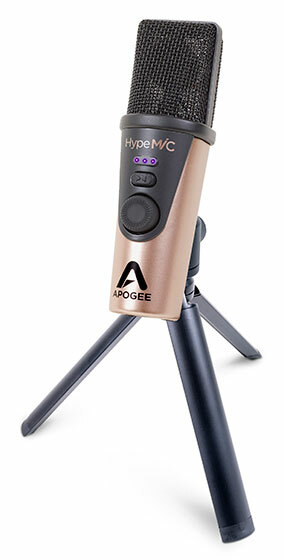 The Apogee HypeMiC is available now priced at £349 RRP inc VAT. Apogee is distributed in the UK/ROI by Sound Technology Ltd. For more information please call 01462 480000.